Andrew Bees. Photo: Tracy Hardy. 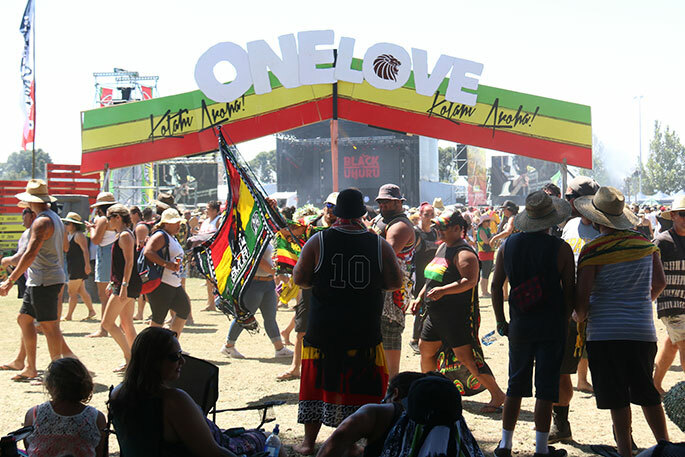 The first day of One Love has been a success with thousands of people getting their groove on at the Tauranga Domain. 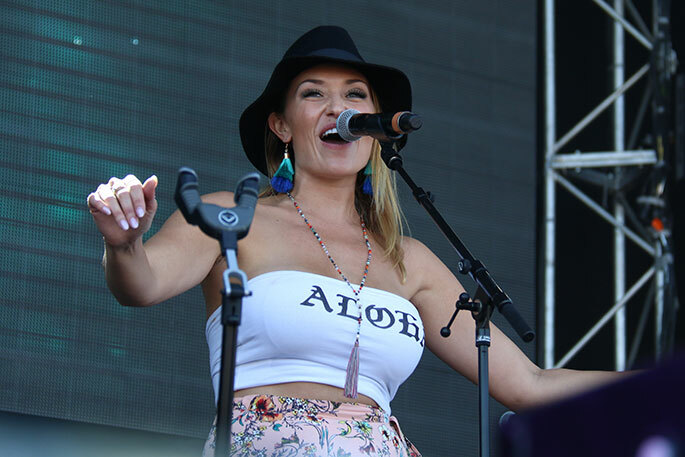 The lineup for today was Tyneegiant, Lomez Brown, Swiss, Anuhea, Black Uhuru, Ardijah, Sons of Zion, Tomorrow People, NZ Marley All Stars, House of Shem, Kora, and Common Kings. 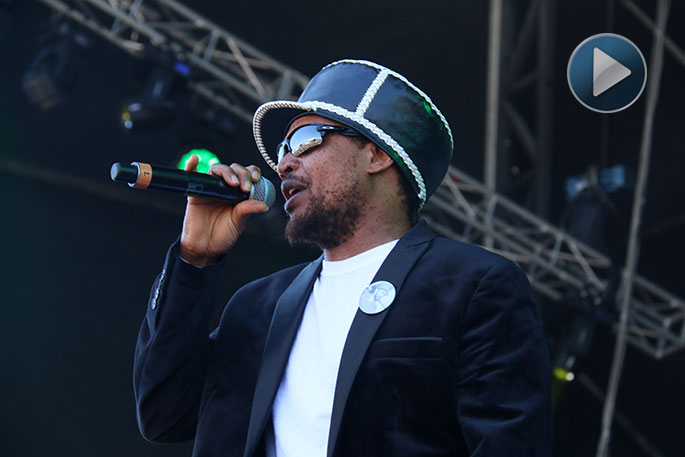 One of the overseas groups Black Uhuru who performed at 2.10pm today kept the crowd moving to thwe rhythm of the music. 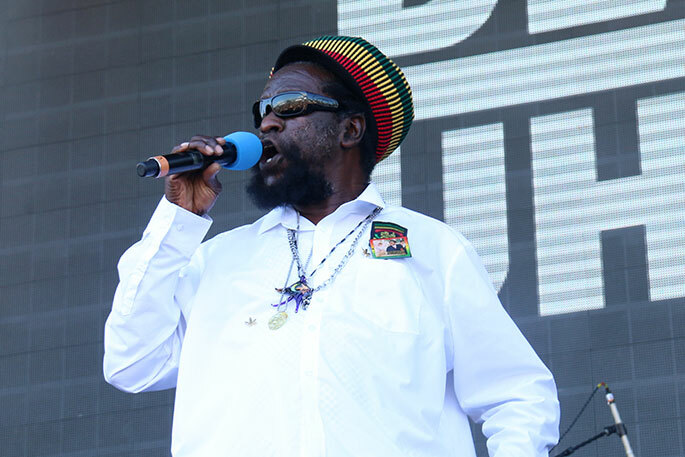 The Jamaican reggae group, who originally formed in 1972 as Uhuru have had several group member come and go, but lead singer Andrew Bees has been one of the longest members. 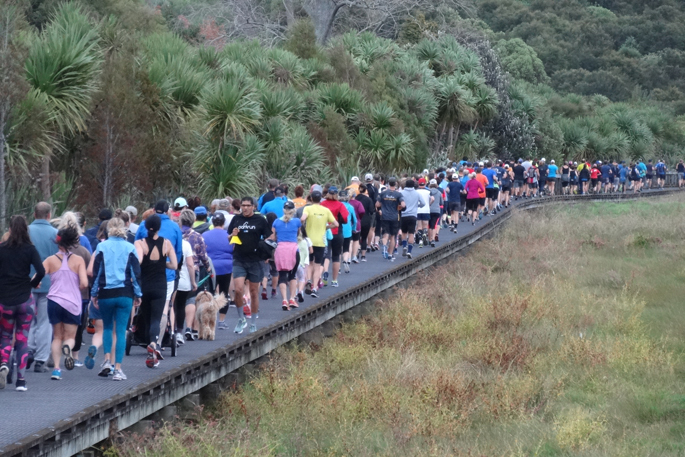 “This is the first time we have been to New Zealand, I’ve been in the group since 1998. We’ve been spreading all our love around the planet,” says Andrew. He says he loves the New Zealand fans and all the people who come to the One Love Concert. During their performance they had a mix of new and vintage songs, such as Great Train Robbery and Guess Who’s Coming To Dinner. He says they haven’t had a chance to see Tauranga and the Mount, but hopes they will come back one day to explore our amazing beaches. One Love will continue on until 10.30pm tonight and start up again at 11.30am-10pm tomorrow. 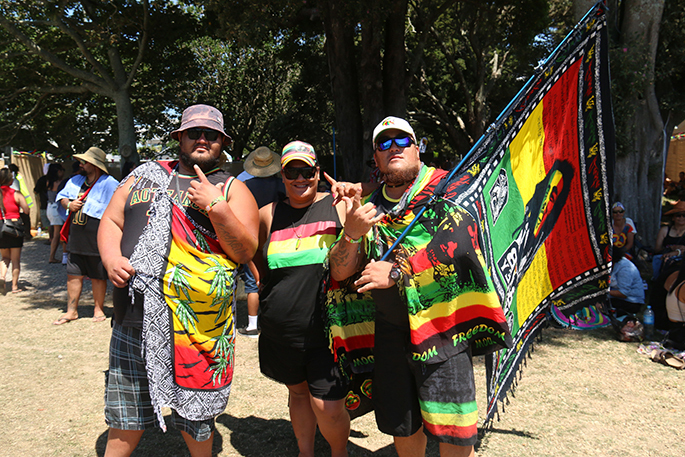 The line-up tomorrow is Foundation, Herbs, Aswad, Maoli, Stan Walker, Three Houses Down and General Fiyah, Maimoa Music, Sammy J, Spawnbreezie, Fiji, 1814, Magic!, J-Boog, and Katchafire. 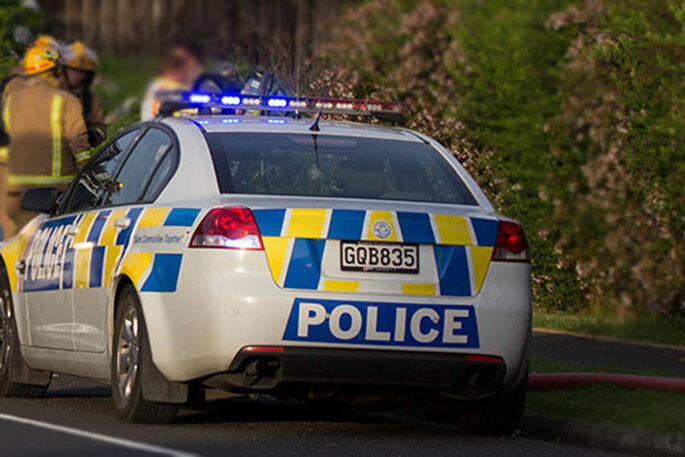 Henare McDonald, Awhina Bristowe, Ropiha Callaghan. 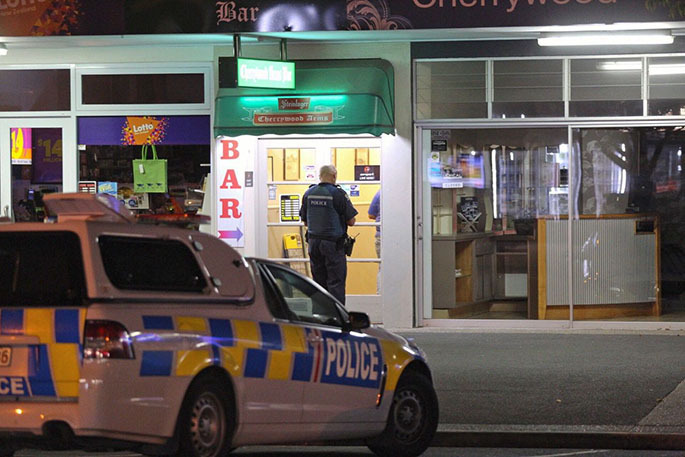 Firstly, the philosophy of one love is to ’’spread the love around.’’ That being the case, it would be a loving gesture not to have the heavy beat of music being heard around Ohauiti and Poike areas until 10.30pm.Which raises another point - how is it that speedway events MUST stop all activity no later than 10.00pm and yet, these activities cannot usually be heard in the areas noted above?Does someone like so-called music more than infrequent racing engines? 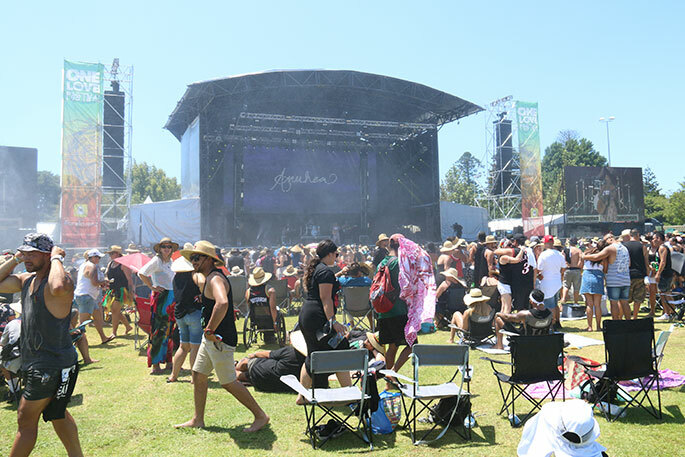 Reports coming in from off venue sites indicate noise level is horrific and won’t comply with RMA Consent conditions. Please explain TCC noise monitoring outfit !!!!! !